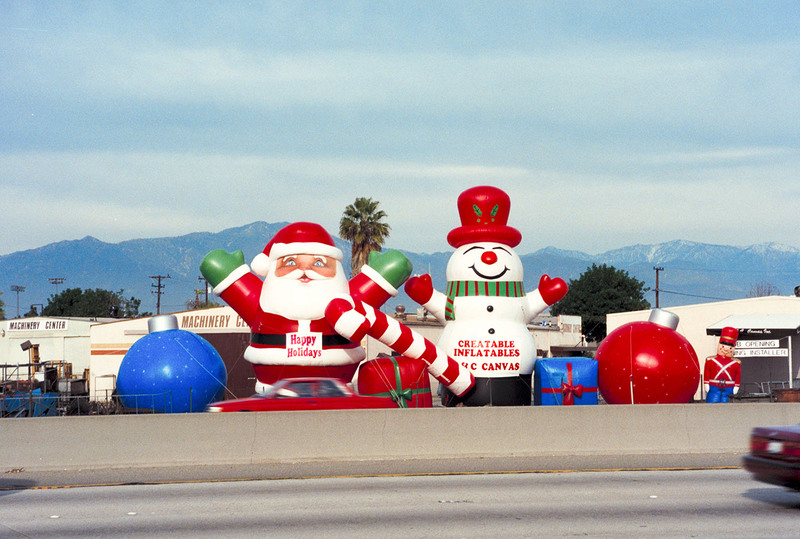 Decorate this holiday season with big festive inflatables! 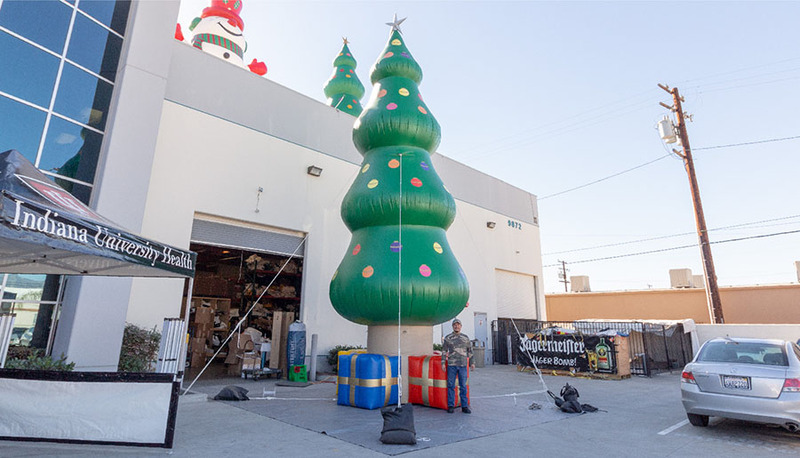 Use the largest decorations for your special event this holiday season. 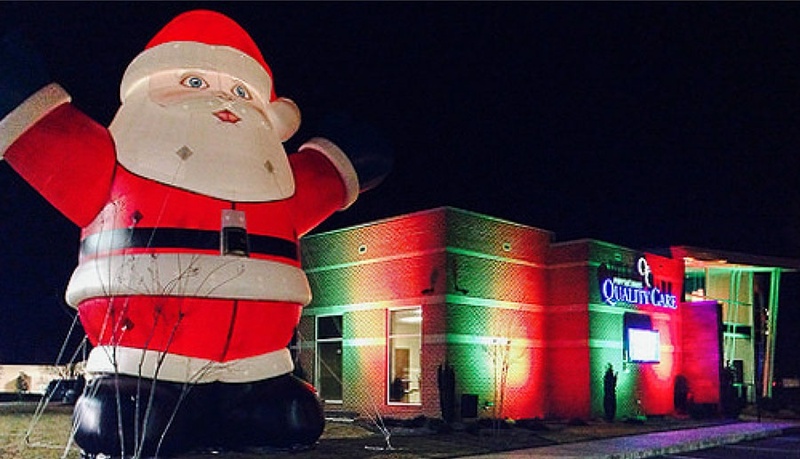 The large inflatables are sure to turn heads and attract people all around town. Choose from our Snowman, Santa Claus and other Christmas inflatables available. The iconic character is perfect for any business, party or special event. 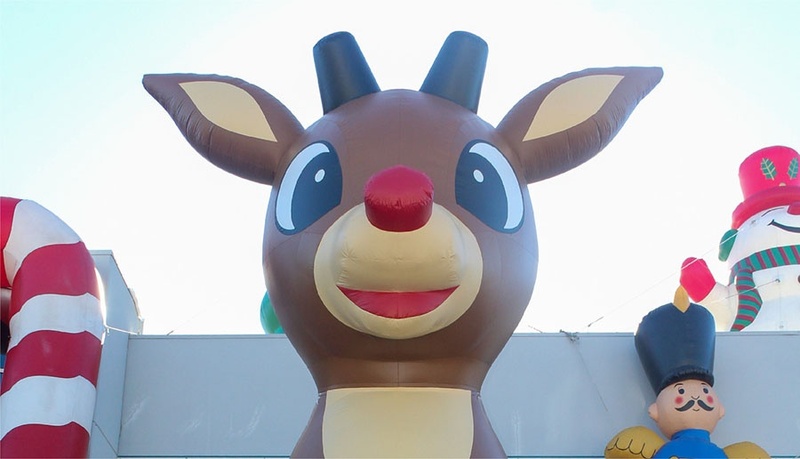 Rudolph's welcoming smile will make your guest feel welcome at any event. Don't worry, our snowman doesn't melt, unless you unplug the blower. Choose between our multiple nutcrackers for your giant decorations. 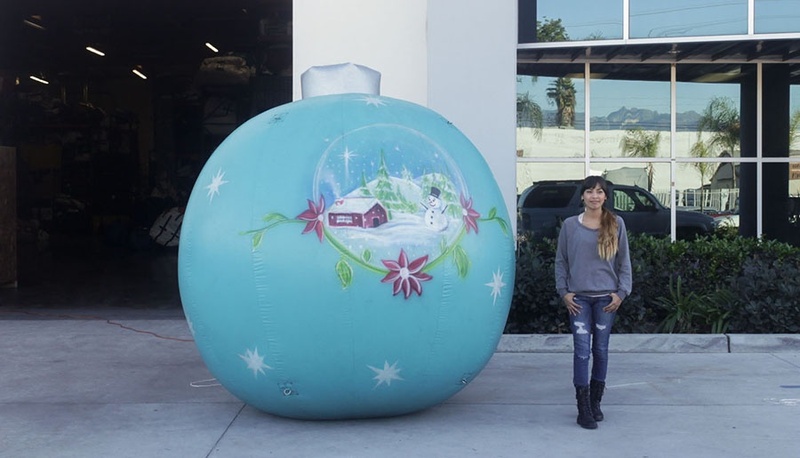 Attract attention to your locale with our large ornaments. Customize a Christmas Wreath with a personal message or rent a stock one. 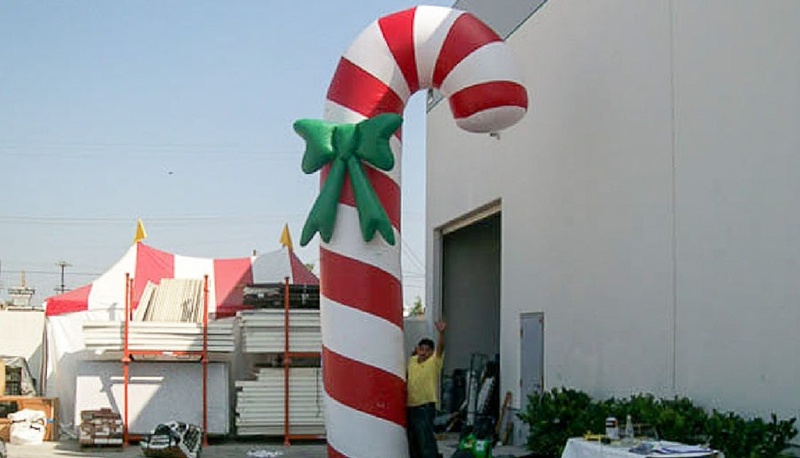 Sweeten your outdoor Christmas decorations with a set of giant Candy Canes. Our varied Christmas decorations are great decoration options for every occasion. 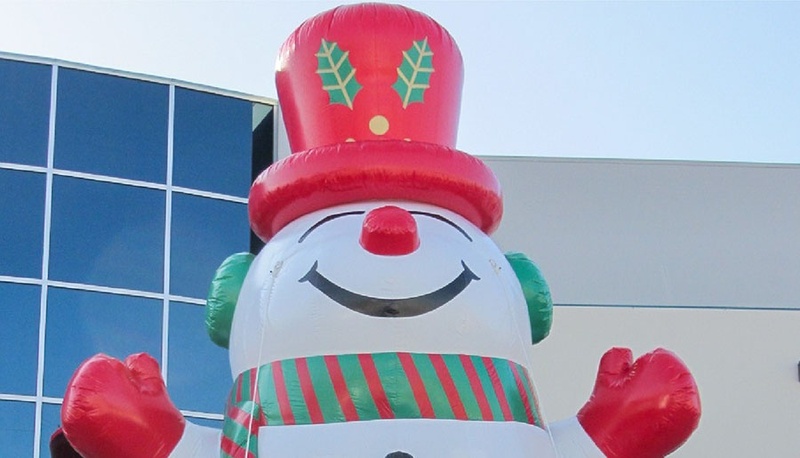 In our Christmas inventory we have over 80 different inflatables for you to choose from for your event, building or business. 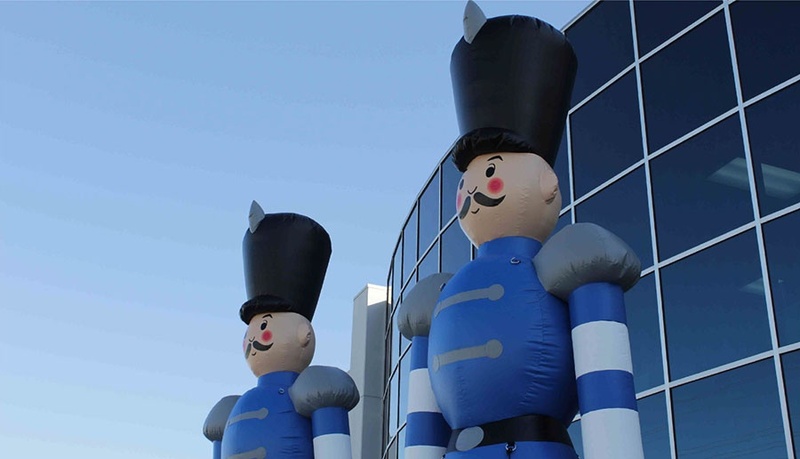 You can find sizes ranging from our smaller 5 and 8 foot inflatables to our largest 30 foot sizes. We Use High Quality Materials For All Of Our Projects. 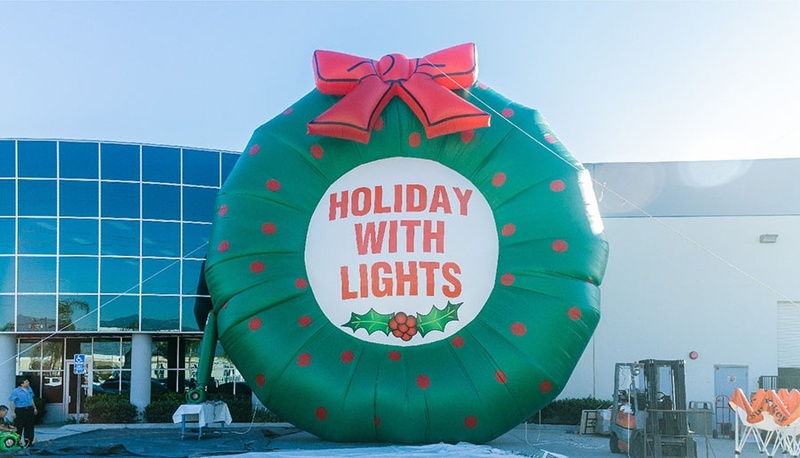 Customize the Christmas inflatable of your choice with your specified size and shape or add a banner with your custom logo and signage to any inflatable. Our Christmas Inventory is full of different sizes and options for you to choose from. Find the decoration that best fits your needs and let us know if you have any questions. We have specialized in creating heavy duty inflatables for the last 35+ years. As a matter of fact, we are one of the pioneers in the field and we continue to push for new development methods all of the time. Every single one of our inflatables is made to last and the designs are all original in-house made designs. 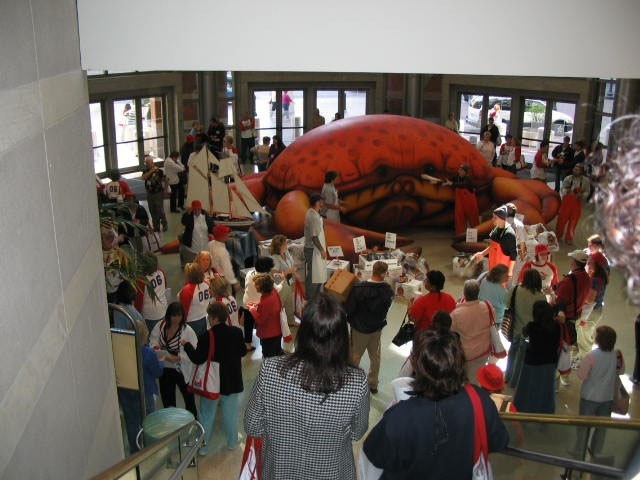 We specialize in creating not only standard heavy duty inflatables, but we also create custom inflatables of all shapes and sizes for any special needs. Every custom inflatable goes through our design department where they figure out what the best air flow patterns are for the inflatable to have nice shape and form. Through Computer Aided Graphics we are able to push the limits of creation to the very edge and because of we get to work on fascinating projects. Projects with lots of color detail and incredible shapes take a lot of development but our talented staff is able to make just about anything possible. If you have a custom design in mind, let us know and we will work with you to bring it to life. We bring ideas to life all of the time, for example, we have worked with Tim Burton throughout the years to develop inflatables of his unique characters for museum exhibitions or to decorate any exhibition house he is presenting his other work at. He comes to us with designs and tells us what shape it's going to have, how big/small it's going to be and the specific colors he wants everything developed in and we always deliver. Of course, we can do the same for you, just let us know what you have in mind. The examples below are some of our greatest creations, check them out! Browse our blog with helpful topics we cover to with more extensive information. Interested in learning more about our products? Give us a call or send us an email. Our knowledgeable staff is here to answer any questions you may have.